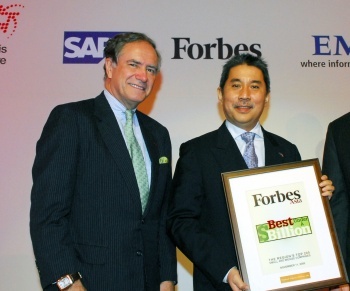 Forbes Asia ranked Regional Express (Rex) among the top 200 listed companies in Asia Pacific with revenue less than USD 1 billion in its issue of 21 September 2009. The winners were culled from 25,326 publicly listed companies and were selected based on profitability, growth, moderate indebtedness and future prospects. No other airlines were selected and in Australia, only 17 other companies made it to the list.